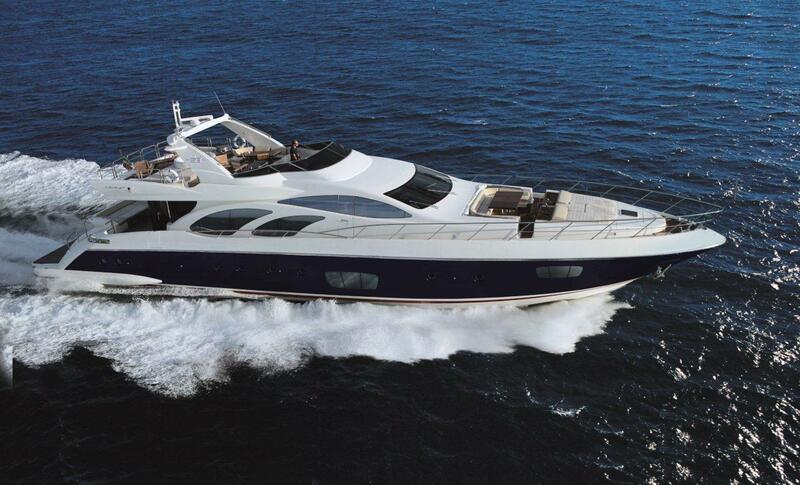 Azimut Leonardo 100 motor yacht is one of the models from the Azimut Yachts Flybridge line. 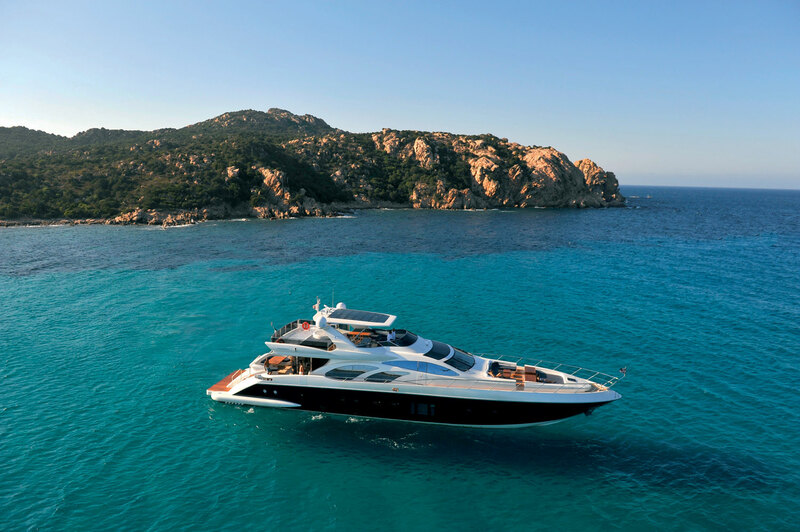 The superyacht is in the Superior Category amongst the company's yachts, not only that, she was also a Finalist in the Boat International's World Superyacht Awards 2010. 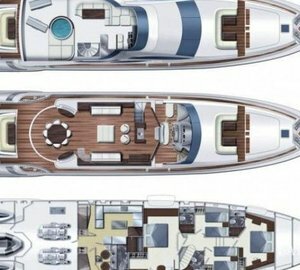 She can be described as an elegantly sportive yacht, with the saloon that suggests the idea of a refined loft, designed to foster relationships and social occasions for the owner and his guests. 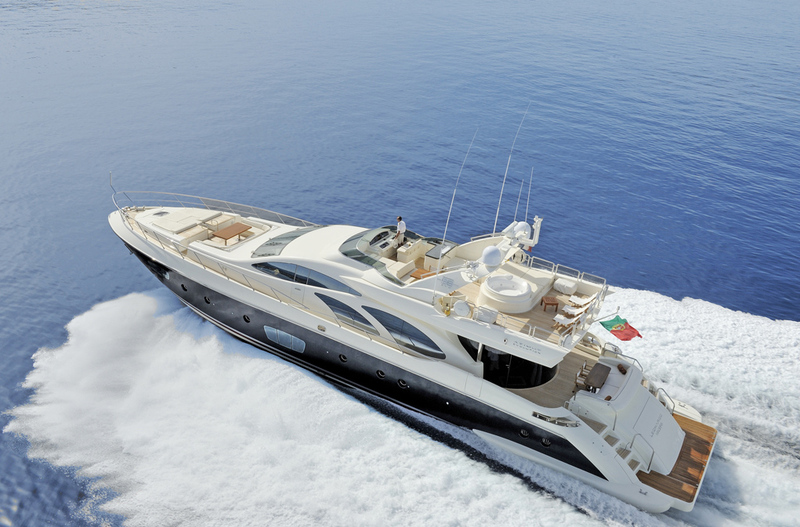 Her shipyard describes Azimut Leonardo 100 as Big, Enormous, Immense. 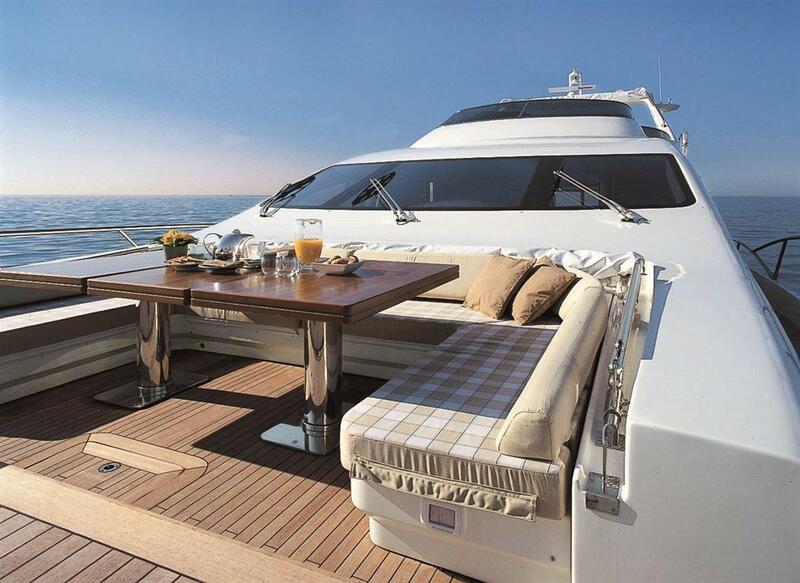 At no surprise. 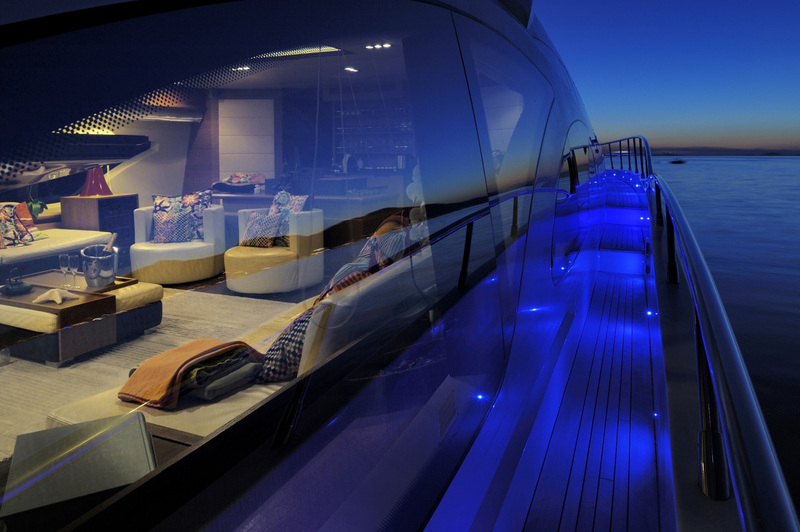 This motor yacht is in a class of it's own amongst the flybridge yachts, with her innovative and revolutionary space invention. 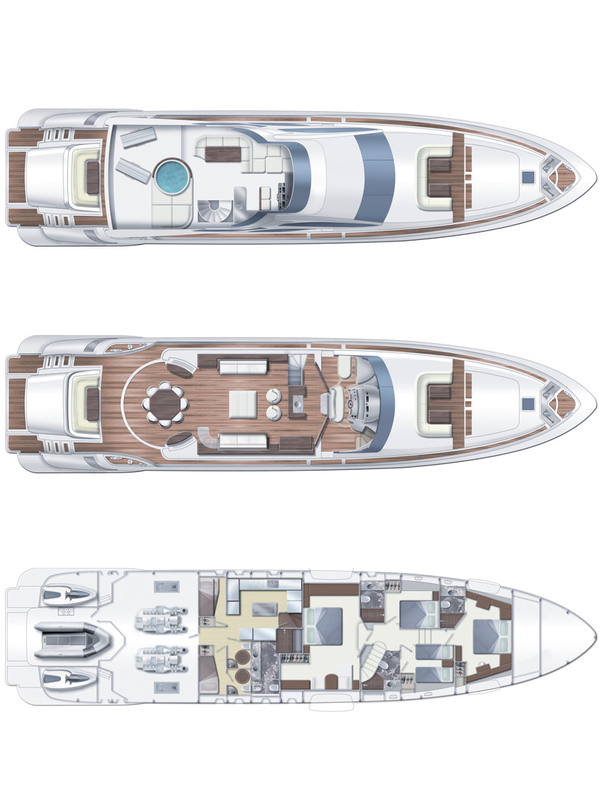 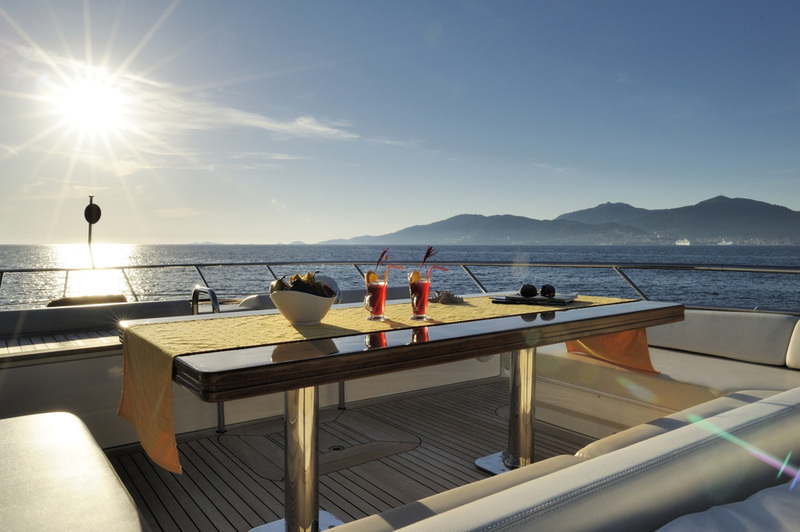 The main deck boast a 30 metre long, bow to stern, elegant area dedicated to comfort and high living. 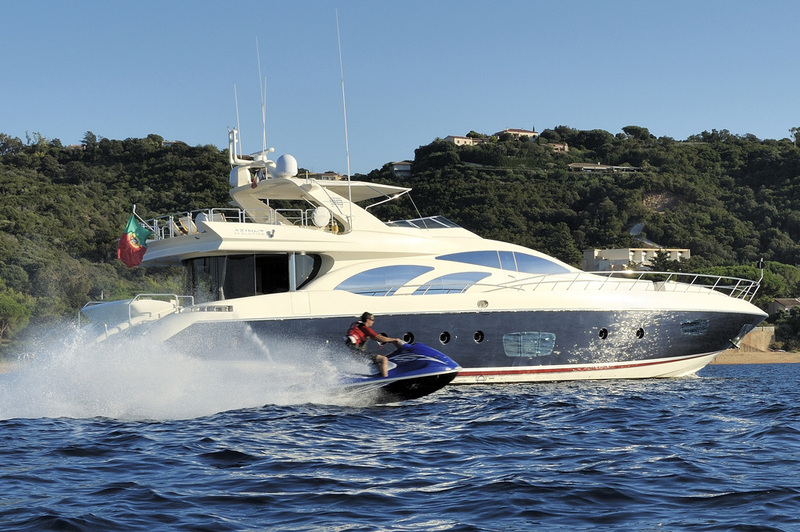 The spaciousness of Azimut Leonardo 100 was enhanced by opening the typically used divisions in the more traditional yachts. 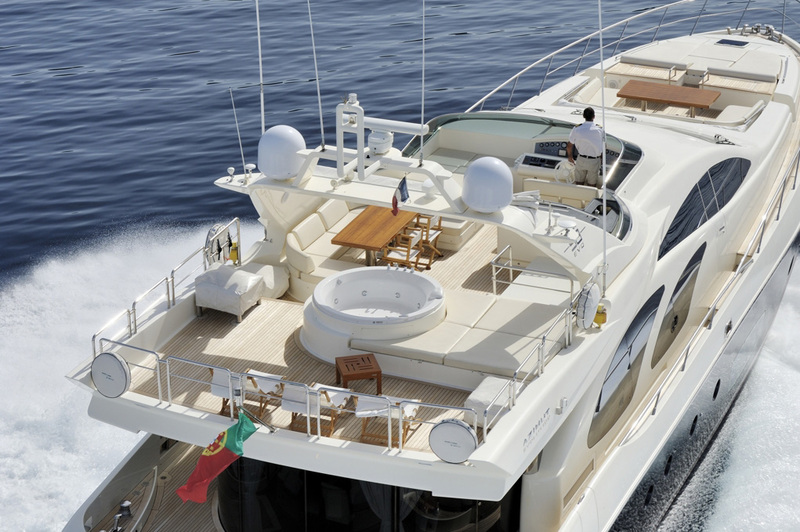 She also offers a colossal terrace looking onto the sea, inviting you to share the special moments of intense peace and serenity with your family and friends. 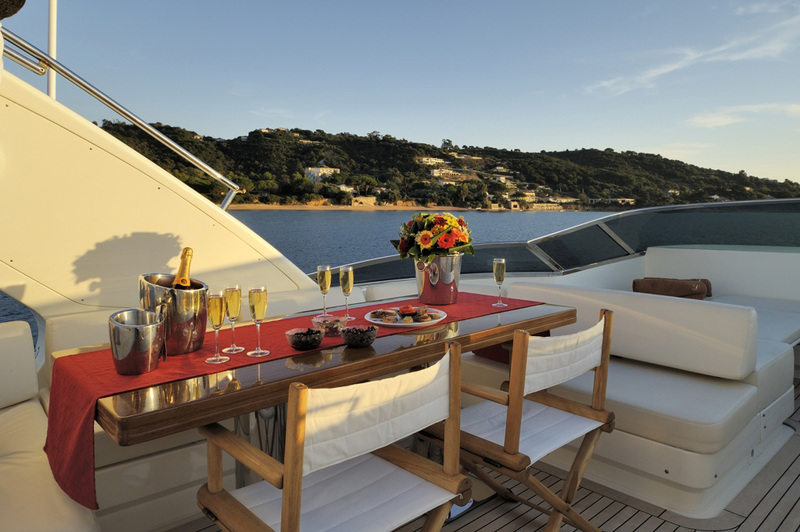 A second lounge on the Azimut Leonardo 100 luxury motor yacht is situated on the flybridge, features the dining area, sofas and whirlpool bath. 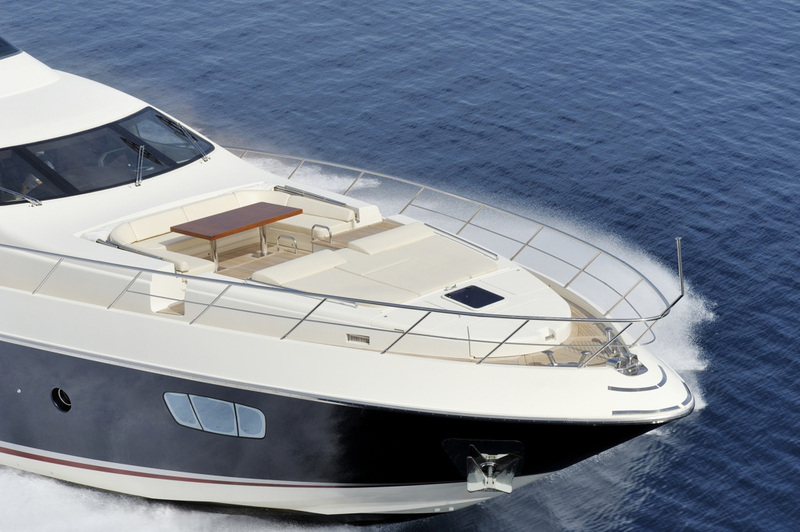 It is on a slightly higher level over the sea and is protected by an innovative hard top in fiberglass and crystal class. 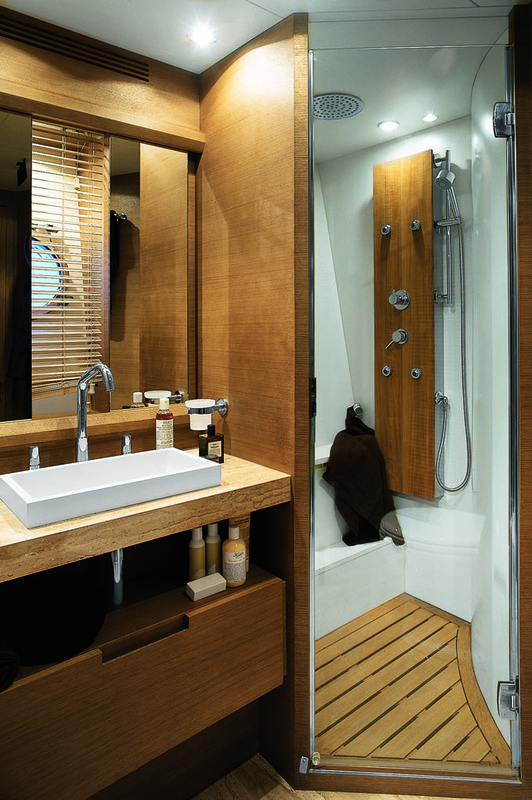 In the bow area, between the lines traced by the handrails that seem endless, a generous third relaxation area has been designed and built to enhance a sense of hospitality. 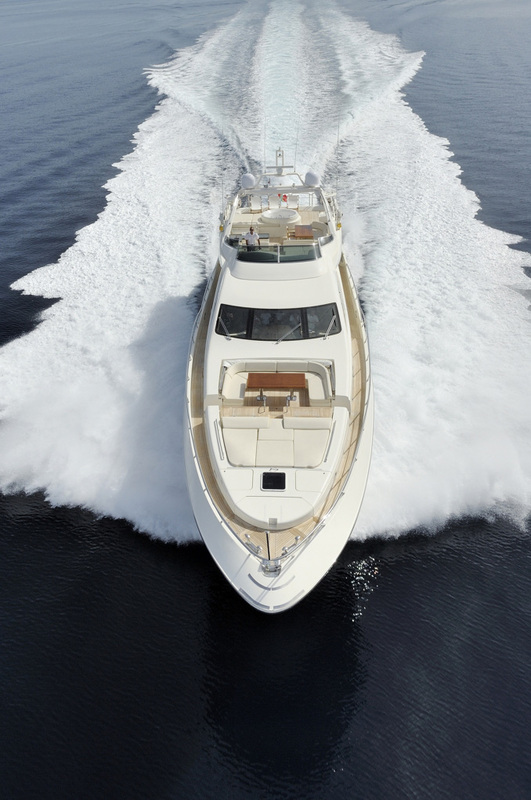 The crew of this motor yacht can easily move outside, pilot the helm or go down to the lower deck without guests even noticing, thanks to the customized route to guarantee your privacy. 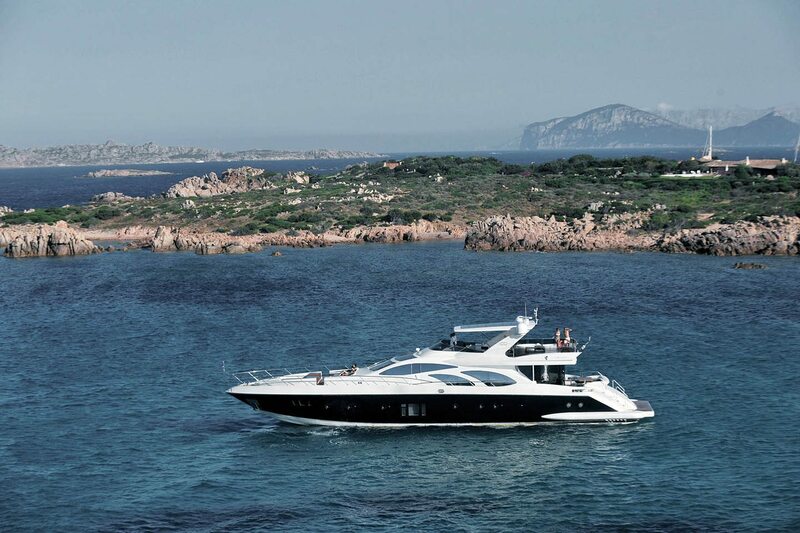 Azimut Leonardo 100, when being viewed from inside gives the impression of an exclusive loft, looking onto the sea, with her sheer size and elegant furnishings. 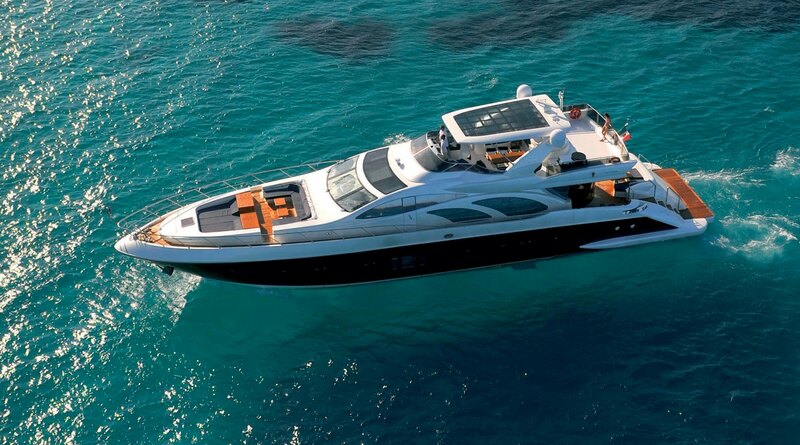 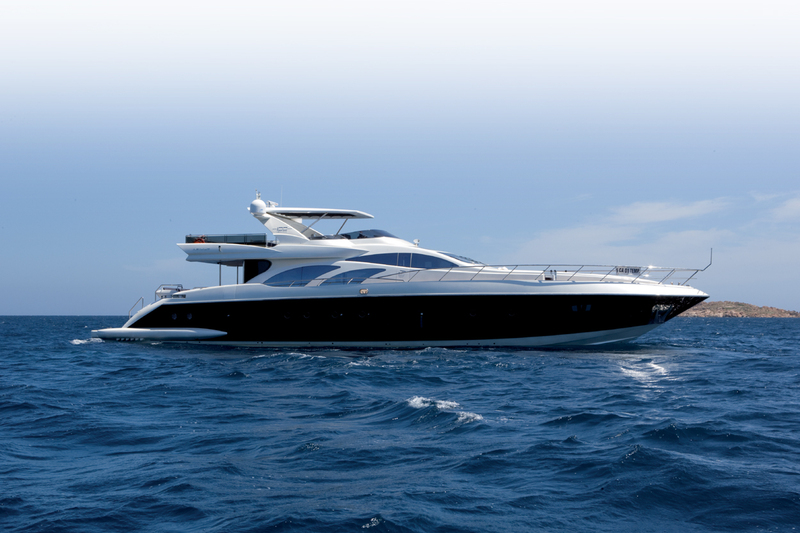 Viewed from the outside, she is a sophisticatedly designed motor yacht, with lines of unparalleled style and dynamism. 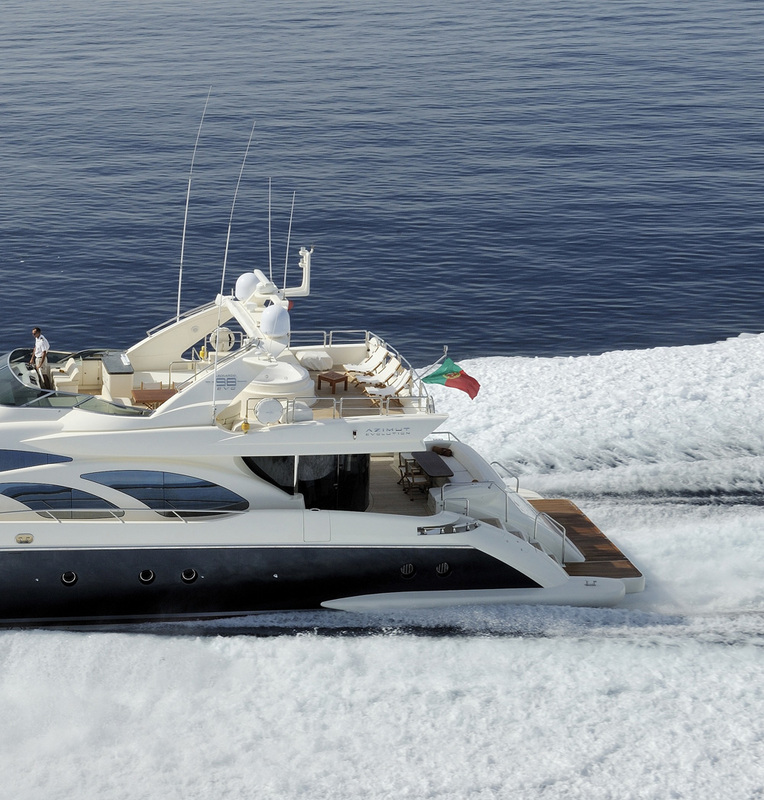 The superstructure of the Azimut Leonardo 100 luxury motor yacht goes slightly further back towards the stern than the more traditional 30 metres. 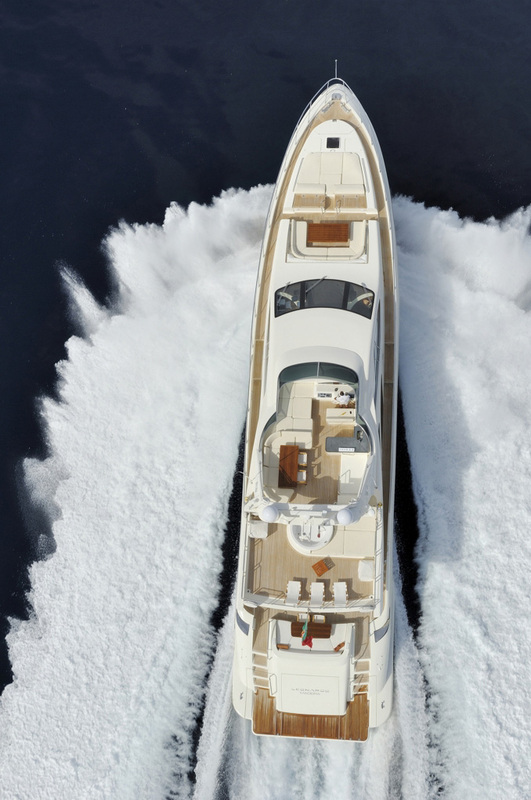 This feature is to underline the dynamic and aggressive nature of her lines, which seem to be running endlessly towards the horizon. 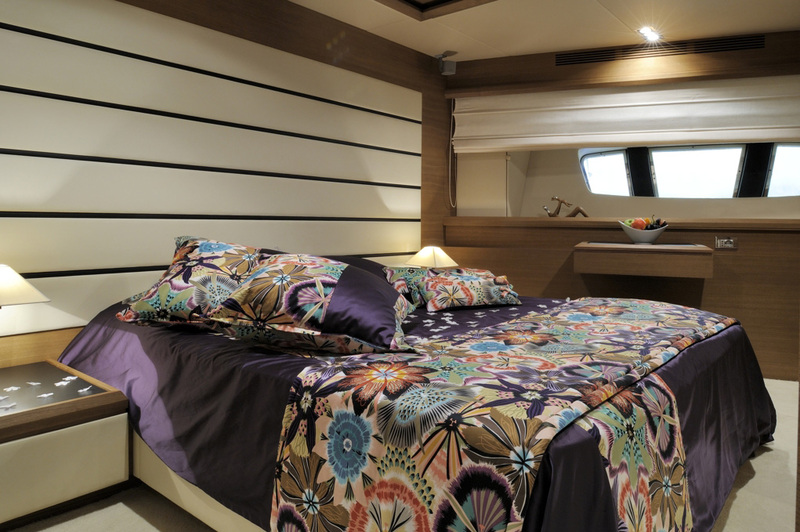 The Master Suite is situated on the lower deck in the centre of the yacht. 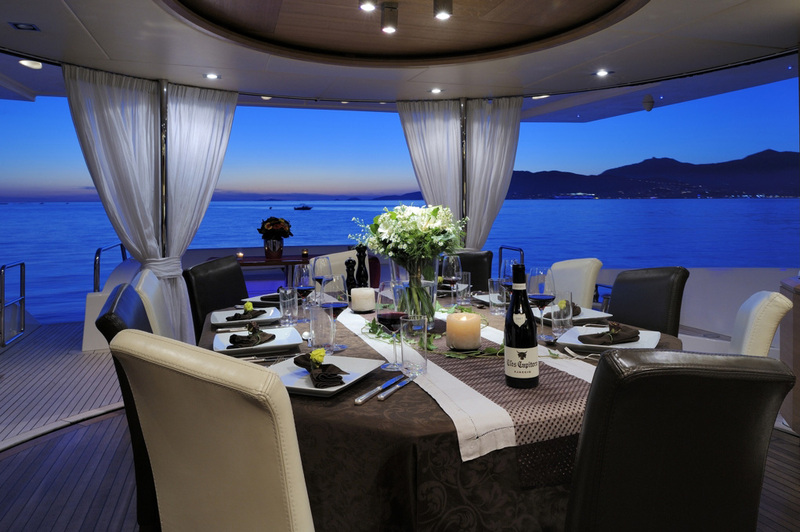 With large rectangular windows on both sides, it covers an unbelievably large surface area. 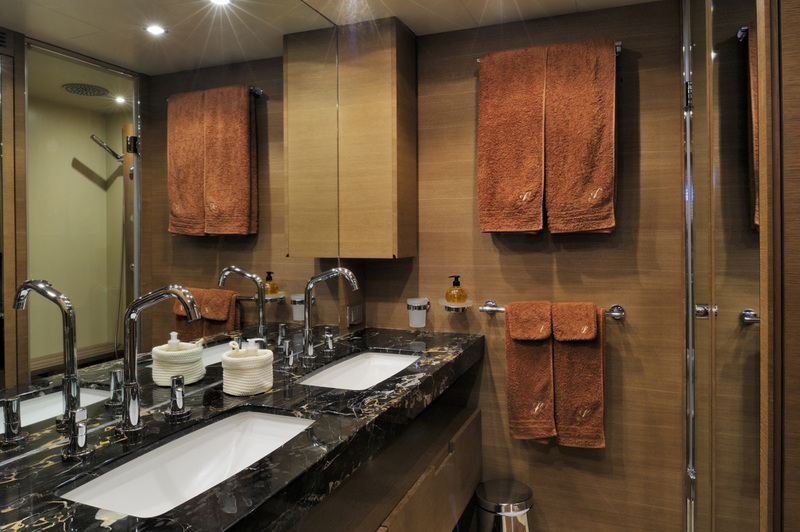 The comfort of the Owner has been made as high as possible, by incorporating wardrobes with ample space, vanity area and bathroom with blown glass double wash stand and a large whirlpool shower. 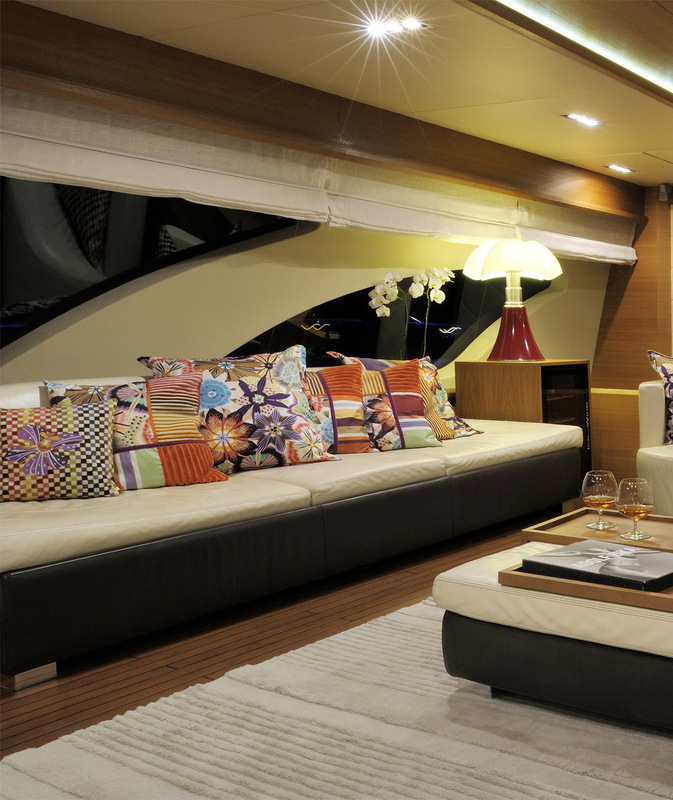 The interior has been design, so there is no furnishing whatsoever that covers the window area, thus allowing the light flood right through the large lounge. 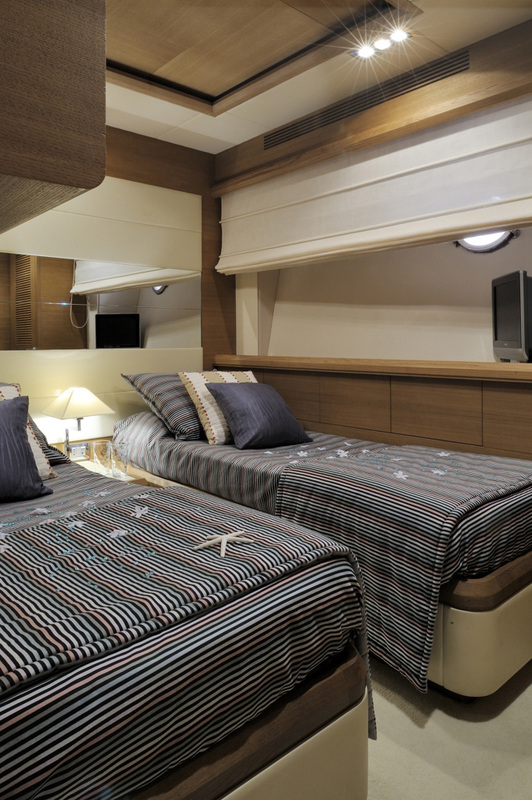 The Master Suite features scenic windows with portholes that can be opened. 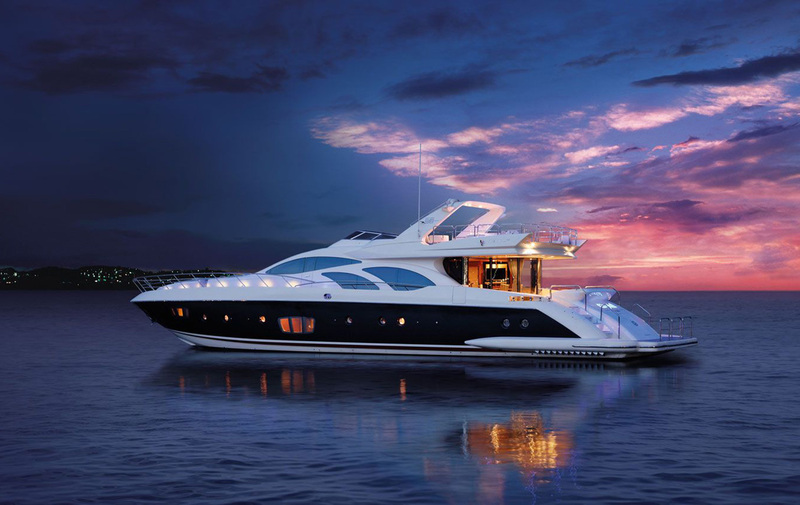 Natural light is also penetrating the VIP and Guest Cabins, that have horizontal windows and portholes, respectively. 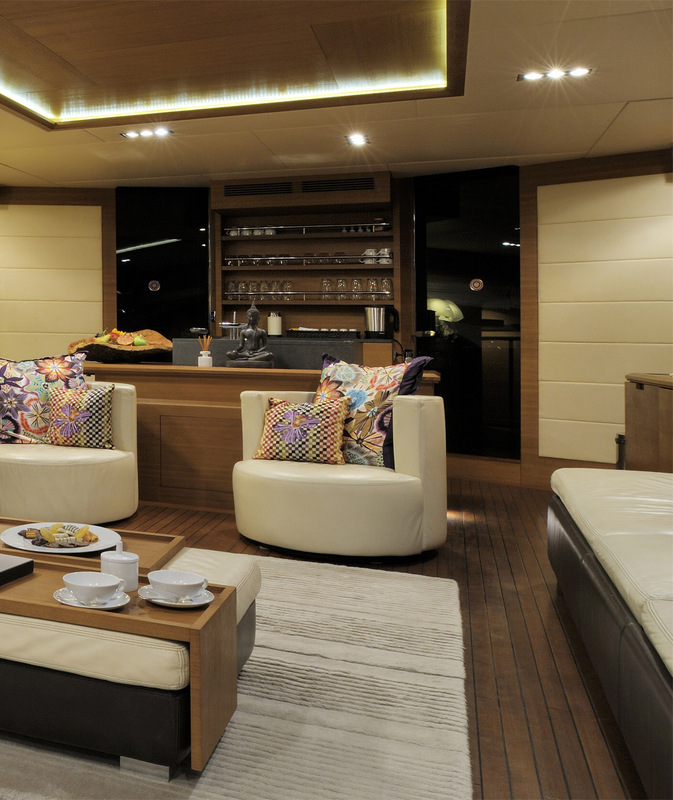 Azimut Leonardo 100's mahogany tinted zebrine wood furniture is prominent on the teak flooring and contrasts with the panelling covered in light beaded Alcantara fabric, which gives off bright, golden reflections. 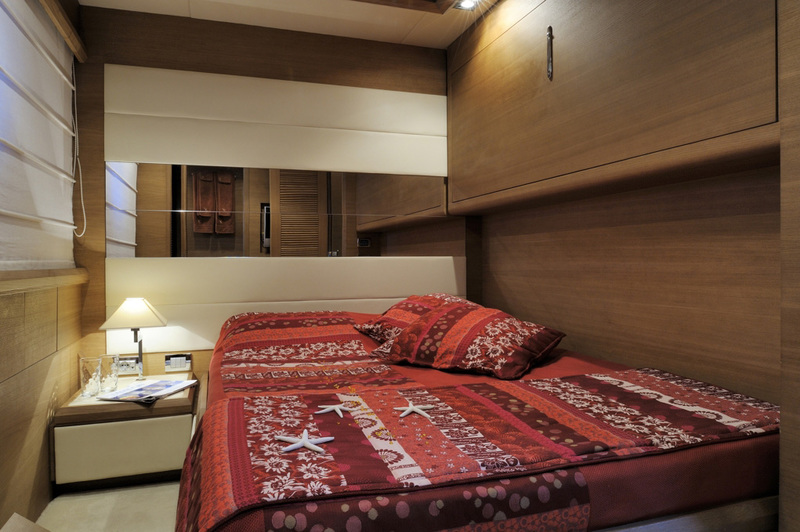 The contrast of these, gives the interior a vagrant and luxurious look. 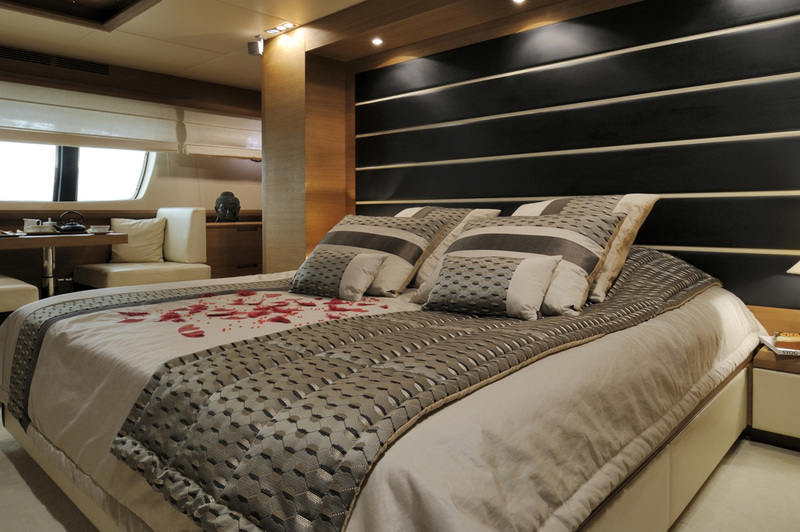 Azimut Leonardo sleeps 8-10 guests in four beautifully furnished cabins, one of them being the Owner's Cabin, one VIP cabin and two guest cabins.